These are the first moments of director Jack Clayton’s masterful 1961 film, The Innocents, and they set the stage and tone for a chilling and absorbing tale of bewitchment. Deborah Kerr stars as Miss Giddens, an anxious, fragile-seeming young woman who begins her first position as governess for two orphaned children on a remote estate. 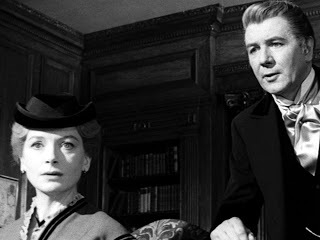 Michael Redgrave briefly portrays the gentleman, Miss Giddens’ employer, whose questions and revelations prime and unsettle her before she ever sets foot in the stately home where events will unfold. The story intensifies when Miss Giddens arrives at Bly, a magnificent manor that far exceeds her expectations in its grandeur and beauty. She is “very excited, indeed” to be there and her two “angelic” and precocious charges, Miles and Flora, easily charm her. An earthy housekeeper, Mrs. Grose (Megs Jenkins), serves to ground the excitable governess whose journey proceeds from enchantment to confusion to torment. American novelist Henry James wrote The Turn of the Screw, the source material for this film, in 1898 while living in England in a large rambling mansion. James recorded that the story was suggested to him by an anecdote he heard from the Archbishop of Canterbury. This scrap of a tale concerned young children haunted by the malevolent ghosts of a pair of servants who tried, again and again, to lure them to their deaths. The James novella tells the story of a young governess on her first assignment, the care of two children living in a grand mansion on a sprawling estate. The plot deepens when the young woman, daughter of a vicar, begins to suspect the presence of the malevolent spirits of two deceased servants. It was many years after the book was published before critics began to wrangle in earnest over interpretation of the story. By the 1920s a number of them had proposed that The Turn of the Screw was less a ghost story and more the tale of inexperienced and high-strung governess who succumbed to hallucinations and madness. A 1934 essay by prominent critic Edmund Wilson dramatically advanced this view. 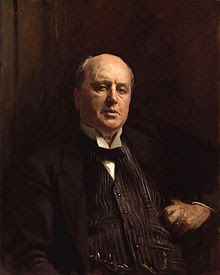 Henry James himself was equivocal about his intentions, and statements he made on the subject have been cited to support both apparitionist and non-apparitionist views. Fascination with The Turn of the Screw did not wane over the years and it would be adapted from the page to other formats, including opera, the stage and TV as well as film. In February 1950, Peter Cookson’s production of William Archibald’s stage adaption of the James novella debuted on Broadway as The Innocents; Beatrice Straight (Network) starred as the governess. Eleven years later the play would be brought to the screen by British director Jack Clayton (Room at the Top, The Great Gatsby). 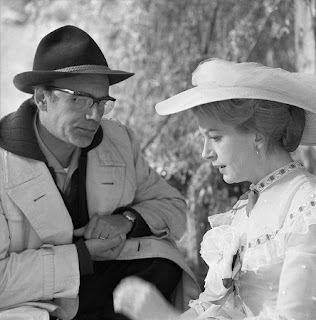 Though William Archibald was involved, it was Truman Capote who was primarily responsible for the polished screenplay. Capote endeavored to maintain the story’s ambiguity as he felt Henry James had originally conceived it by artfully dodging the central question: Are the ghosts real or are they the fantasies of an unstable governess? Taking the modern view, it’s not difficult to interpret The Innocents as an imaginatively staged depiction of an unsteady young woman’s descent into madness: the film closely follows the increasingly erratic behavior and visible deterioration of Miss Giddens; no one but she actually “sees” the ghosts she claims are present; by the film’s end, even the sensible and supportive housekeeper is at odds with the hysterical governess. And there are many visual clues that the young woman may be projecting her own delusions onto her surroundings. It is no stretch these days to believe that a deranged governess would be capable of utterly terrifying an already frightened child. But, viewed from another perspective, the tale can also be read as the story of an innocent and inexperienced but well-meaning young woman confronted with the supernatural in the form of malicious spirits. Her fervid determination to save the children in her care from possession could explain her unorthodox behavior. And that is what most people believed when The Turn of the Screw was first published. Jack Clayton's conjuring of The Innocents leaves viewers to their own conclusions. Of course, it is Deborah Kerr's finely tempered portrayal of the tortured governess that is the linchpin of this film. With nuanced gesture and bearing, with her expressive voice and bright eyes she breathes her character into skittish-but-determined being. It is Kerr's luminous tour de force performance that makes credible this strange, ghostly tale. Kerr's portrayal, the supporting cast (with a deep bow to child actors Martin Stephens and Pamela Franklin), Freddie Francis’s atmospheric cinematography, the script of Archibald and Capote, and Georges Auric’s original music all mesh under Jack Clayton’s sure hand to create the acknowledged masterpiece among the several adaptations of The Turn of the Screw. This is my contribution to the Deborah Kerr blogathon hosted by Maddy Loves Her Classic Films. Click here to learn more. Excellent review, Patty. This is my favourite horror film. I love a good ghost story,this one really is one of the very best. The film is fascinating and you can spend ages trying to figure out if the hauntings are real or not. I think the film remains terrifying whether the ghosts are real, or if she is having a breakdown and imagining them. Deborah Kerr delivers such a powerful performance in this. I don't think she was ever better on screen than in this film. Such a shame she never again got a role quite like this. Thanks so much for joining me to celebrate Deborah and her films. Thanks, Maddy. I don't know if I ever really believed the ghosts were actually real, but this film still gives me chills whenever I watch it. Deborah Kerr may never have had another role like this one, but at least she had this (supreme) opportunity to really stretch and show the extent of her range. It is the haunting ambiguity that lingers with a chill long after a viewing of this masterpiece. Your article brought back every worry and every fright. The Academy honoured Miss Kerr with six lead actress nominations, and how this performance wasn't a seventh is mind-boggling. It is almost bizarre that Deborah Kerr wasn't even nominated for what was arguably her best performance. One more instance of many, it seems, when the Academy got it wrong. The chill does linger, Paddy, I feel a little - apprehensive? - just thinking about The Innocents. I remember this review! I am one of those who believe it's a tale about a descent into insanity--but I still appreciate its ambiguity. The child actors are extraordinary; Martin Stephens (also quite good in VILLAGE OF THE DAMNED) has some wonderfully disturbing scenes with Ms. Kerr. My take is that this is a (brilliantly executed) story of a fragile, impressionable and well-meaning woman who encounters something (a situation, an atmosphere) that unsettles and, finally, unhinges her. The ending is devastating. In my list of screen actresses who could play comedy or tragedy equally and never gave a bad film performance, I include Doris Day, Barbara Stanwyck, and Deborah Kerr. I like your list. I would probably include Irene Dunne on mine. Thank you Eric. And thanks for the link to your post. Enjoyed your very insightful and articulate review. Great review and background on a truly classic movie. The black and white cinematography is poetic and haunting. Henry James and Edith Wharton really mastered the psychological ghost story, "The Turning of the Screw" being the greatest example. The filmmakers here really did justice to walking that fine line of the supernatural and the delusional. If you think about it, the novel was kind of Pre-Freudian, in a more conscious way than the Gothic literature that preceded it - that whole era was wonderful and fascinating. This had to be Deborah Kerr's most challenging role, and although I think she was a good 15 years too old for the character, she more than made up for it with the depth and intensity of her performance. Everyone was running on all cylinders on this project. Like so many films that we acknowledge as classics now (such as "Vertigo"), "The Innocents" had a lukewarm reception at the time and the studio apparently didn't know how to market it. Fortunately, that doesn't matter in the long run. This film is so well done and works so well that I don't watch it very often because it gives me the chills. Everything about it, from Kerr's performance, those of the child actors, the cinematography, the music, the location and the set design - everything is spooky. As you infer, it is so well made that it has become a classic, a highlight on the resumes of all who were involved in its production. Thanks for taking the time to read & respond! The first time I,watched this film I had a hard time sleeping that night. Kerr's performance is superb. It does chill you to the bone, doesn't it John? I didn't mention it in my post, but this was Kerr's favorite of her film performances. Indeed, there are many interpretations to the novel and the movie - and this is what makes the story amazing. Of course, without Deborah's talent, this double interpretation could have been lost in the film, that is a real cinema masterpiece.